Aluminium Frame Marquees, We have the latest state of the art product available. Our aluminium framed marquees have PVC roofing and walls which are drawn through the frame profile for a flush and elegant fit. For the roof you can elect to have clear PVC, which has a stunning effect, but for day functions one has to consider the hear element. For the walls we have clear glass panels and glass double doors as well as service doors and hard PVC panels. 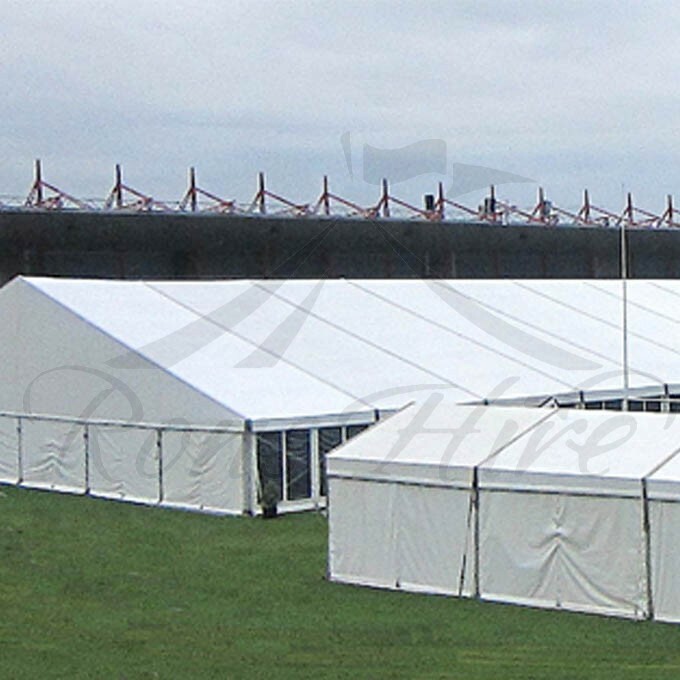 All our marquees have 3m tall sides, which are more practical and attractive. We also offer top quality integrated wooden decking and other floor covering options to suit our clients preferences. Custom fitted draping is available as is lighting and air-conditioning on request. All our aluminium framed marquees in widths from 5m to 30m are extendable in 5m modules to virtually length to meet any overall size requirement.